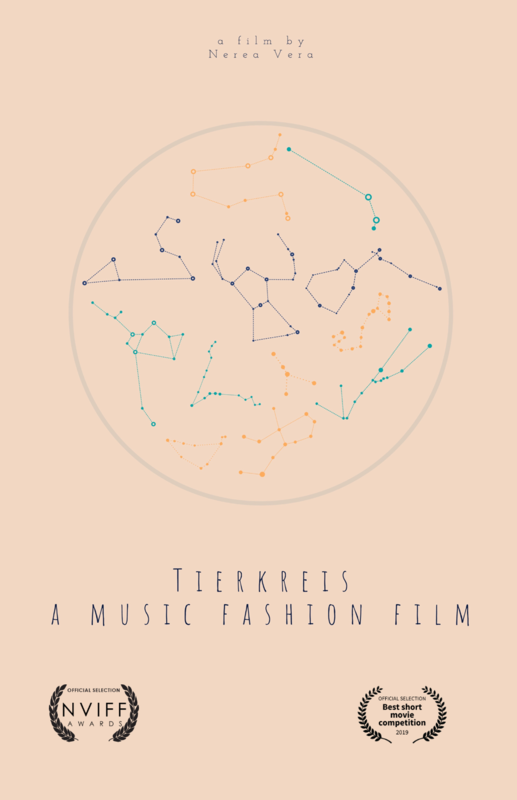 Azimuth presents “Tierkreis, a music fashion film” is an intermedia proposal based on Stockhausen’s “Tierkreis” about zodiac signs. The original music is based on 12 different melodies, each one based on the different zodiac signs and poem. The piece is a free form instrumental piece, giving the performer the free will needed to approach it and create a different and personal version of the piece. Director Nerea Vera took this piece as a reference to create a whole fantasy world around it. Using the fashion film’s cinematographic aesthetic’ and her knowledge of the piece (her master research was based on it) in order to make a brand new version. This new version includes used of non conventional instruments, bringing a new way to experiment and approach contemporary music to the general public. Nerea Vera- Director and performer, is an interdisciplinary artist specialized in percussion, obtaining in 2015 a master degree in classical percussion at Koninklijk Conservatorium in The Hague, and recently fashion expert and visual merchandiser.